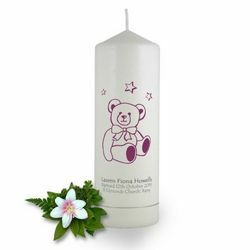 All of our quality candle desings for baptisms can be personalised with the child's name, date of the ceremony and the church at which it was held. Create a wonderful keepsake today to cherish the memory of that special day. 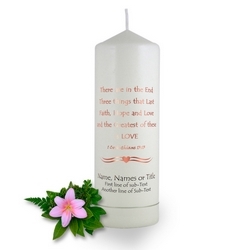 They also make idea thank you gifts for the godmother and godfather as well as the grandparents. Seen by many as an important symbol for any baptismal ceremony as a baptism is the very first step of our spiritual life, we have a wonderful range of personalized keepsake to treasure after the blessing. 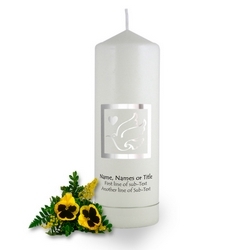 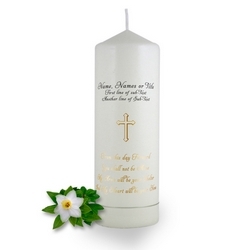 Our baptismal candles are one of a kind personalized and reflect the true meaning of the sacrament. 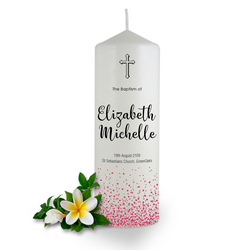 Each candle will contain the name of the child or adult being baptized, the date of the ceremony and the church where it was held. 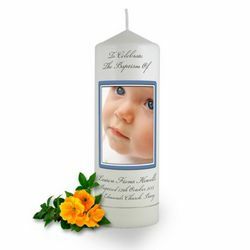 They are well presented for preservation for memories or to pass down to the family. 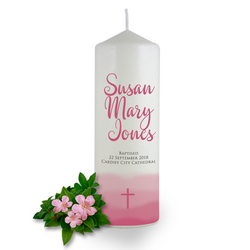 Brinley Williams strives to make candles that just don’t burn out after the ceremony; instead, they linger through a lifetime of new beginnings. 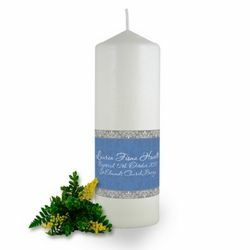 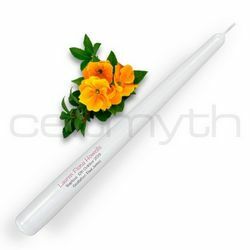 We only use high quality baptism candles that are tailor-made to your specific needs and design. 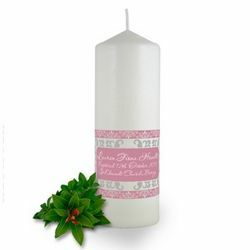 All text is embedded within the wax, giving the candles, smooth and incredible finishes. 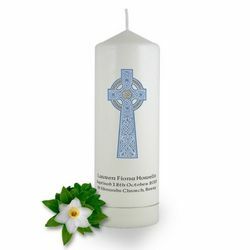 Our designs selection includes Taper Candles, From This Day Forward, Celtic and Holy Crosses among many others. 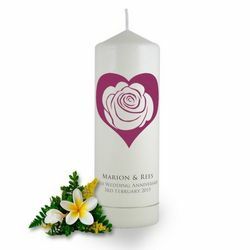 They are made with high burning quality to ensure that they last a lifetime. Brinley Williams is not only known for stylish and personalized baptism candles but those that add meaning to the baptism ceremony and are one of our most sentimental purchases that ensure you have a stylish new beginning.